The Portfolio Committee for Trade and Industry was preparing legislation to deal with the over-indebtedness of the poorest of the poor in the country as a result of reckless lending by financial institutions and other creditors. National Treasury had been invited to present its views on the Credit Law Review and to provide some advice on principles and technical matters. National Treasury (NT) supported the wide array of debt relief reform being proposed, which was seen as a comprehensive and wide-reaching basket of reforms. It focused on the extinguishing of debt and for whom there would be debt relief. Treasury made it clear that any credit reform had to be seen in the broader financial sector as a whole, which meant that any policy objectives needed to be fit and housed against the other policy objectives of stability, financial inclusion, financial integrity and market conduct. There was general agreement at the meeting that those who had lent recklessly had to be made to feel the impact of extinguishing those debts, and it was debated whether current legislation could achieve the level of debt relief proposed. The Chairperson made it very clear that it was the first time in the democratic dispensation that the extinguishing of household debt incurred by reckless lending had ever been considered by Parliament. It was urgently required, as people were feeling the pinch of the country’s “junk status” on the economy. Reference was made to the United Kingdom (UK) Debt Refunds programme, how it had been supported by the UK’s National Treasury and Reserve Bank, and how well it had achieved its objective. The question of emolument and attachment orders (EAOs) received attention, particularly the undertaking by NT of looking into the EAOs on the salaries of public servants and the Desai judgment in Stellenbosch. The processes and mechanisms decided upon had to ensure a swift and easy process of debt relief for the heavily indebted poor who had been subjected to reckless lending. Credit regulators needed powers to make binding decisions. Much work remained to be done before the Committee could draft a Bill to address both the problem of debt and reckless lending. Ms Katherine Gibson, Chief Director: Financial Sector Conduct, National Treasury (NT), said the presentation was based on policy as well as inherited experience from working with the Department of Trade and Industry (DTI) on the over-indebtedness project. In addition, it was formulated in response to presentations on policy by the DTI and the National Credit Regulator (NCR), as well as Members’ responses at the previous sitting of the Portfolio Committee on Trade and Industry. NT had tried to respond to issues. The Department supported the wide array of debt relief reform being proposed by DTI policy, which was a comprehensive and wide-reaching basket of reforms. NT expected the discussion to focus on a particular concept, and that was whether they were going to be extinguishing debt, and for whom there would be debt relief. The key intention was relief for the poorest of the poor. However, the discussion should not overlook a number of other important reforms that were being proposed. The context for NT presenting any credit reforms was that it had to be seen in the broader financial sector as a whole, which meant that any policy objectives needed to be fit and housed against other policy objectives of stability, financial inclusion, financial integrity and market conduct. Ms Gibson indicated that she was presenting preliminary views to support and develop the debate. There had been concern for a number of years about the over-indebtedness of households. The proposals on the whole were well-balanced and creative. Details about who received relief and how much they received would have to be clearly defined. The National Credit Regulator (NCR) would be forced to take action off its own bat to make debt relief agreements. Stronger action was needed against reckless lending. The industry was expected to enter the process voluntarily, as the statute route may have constitutional challenges. Questions included who would bear the cost and what the maximum debt to be written off was. The problems of on-selling of debt had to be considered. Previous debt relief had not left the borrowers better off, as they had re-incurred debt. The problem was an overly consumer-driven society, in which borrowings funded consumption. There was a need to move towards a savings society. There were many questions that needed to be answered to create a workable policy which would provide relief but would not de-stabilise the financial system. Relief criteria had been debated extensively so there would be clarity in respect of those issues. Mr G Hill-Lewis (DA) interrupted the presentation on a point of clarity to inform the presenter that the intention was not to take away the audi alteram partem rule, but to alleviate the red tape that caused problems, as the NCR operated in a quasi-judicial space but could not make binding decisions. Other bodies could make bindings rulings, without legal representation, but an appeal could be made to the Labour Court against the rulings. Ms Gibson assured him that National Treasury understood and agreed with that understanding of the way in which the NCR would operate. The National Treasury regulator, the Financial Services Board, operated on that model. The new regulator, the Financial Sector Conduct Authority and the Prudential Authority, would also operate on exactly that model. Those regulators took decisions which were binding on regulator entities, and those decisions might be taken in terms of contraventions of the primary law or the regulations issued by the Minister. The Regulators could also issue enforceable subordinate regulations. It was consistent with international regulators who needed to take strong, swift action. That needed to be balanced against the quality of decisions and ways of ensuring the quality of decisions, including specific governance processes which had to be built into the mechanism to ensure transparency and accountability. National Treasury was providing for systems used successfully internationally, but needed to ensure that the processes and procedures were clear. There needed to be an appeal process that did not require going to court. Hence the proposal for a Tribunal which could provide a fast track appeal, but did not replace the court system. The “Twin Peaks” framework had paved the way for closer co-operation and coordination. There was a need for a cooperative approach to consumer education on credit issues, particularly in respect of the credit extinguishment. National Treasury would like to work with the DTI on the policy to extinguish consumer debt in respect of both banks and non-banks. Mr A Williams (ANC) commented that it sounded like Treasury had simply asked the same questions that the Committee had asked. It was a Committee Bill, and he felt Treasury was threatening the Committee. NT had referred to decisions that the Minister would make, but it was a Committee Bill and the Committee would make the decisions in respect of the Bill and the Minister would implement those decisions. National Treasury should start looking at the matter from the point of view of Parliament, where Members were there to represent the interests of the people, not the interests of the financial service providers. He wanted to know whether any debt relief would threaten financial stability, and what level of debt relief would not be considered a threat to financial stability by National Treasury. He was concerned about the stability that NT kept talking about, and what would threaten the stability of the financial system. Mr Hill-Lewis said that he had found the NT helpful in that it did draw together some threads on some fairly complex topics. There were no simple solutions. He understood that National Treasury felt that they needed to look at the voluntary debt relief programs in the banking system. The problem was that most banks actually made an accounting provision of 5% to 7%, even 10%, for writing off debt. That was already priced into their system, so there was no additional cost to them whatsoever in the proposal that National Treasury was making. The proposal had to be over and above that, in a responsible and sustainable way, that sought to address the fundamental behaviour problem from credit providers that they gave too much credit to people who could not afford it. Credit providers used their extensive marketing powers and extensive reach in poor communities to essentially foist that credit on consumers. The National Credit Act (NCA) was one of the most powerful pieces of legislation. The current legislation was powerful, but not adequately utilised, particularly the provisions on reckless credit. The Committee did not want to provide a very significant subsidy to the banks at the public’s expense -- an on-budget transfer to the banks -- as that would reinforce bad behaviour. The Committee was trying to stop banks from reckless lending, which meant that the banks had to pay the costs of reckless lending and take a financial loss. Mr Hill-Lewis believed that the way to do that was through the reckless credit provisions, so that they recovered nothing of the reckless credit that they had dished out. The Act fully empowered them to write off all outstanding capital, interest, fees and to refund the consumer everything that they had paid up until that point. That would be the severest penalty that any financial institution could have for engaging in that kind of practice. Mr J Esterhuizen (IFP) expressed concern that blanket debt forgiveness would accelerate reckless borrowing. One of the banking and financial system’s principles was also efficiently lending money and to collect repayments, and under difficult circumstances to offer means of repayment based on those circumstances. He agreed that there were existing laws in place. The NCA had to protect the poor from unregistered and immoral money lenders. There was no need for new laws or legislation for debt relief. That would have negative consequences for legal financial institutions and the economy as a whole. The growth rate of the economy was pathetic as it was, and was largely subsidised by the poor. Consumers were driven by anxiety about making ends meet. This would drive them to even more desperate measures and even more expensive money. The Debt Collectors Amendment Bill and court cases had highlighted the flagrant abuses in debt collection. The existing laws should be utilised for that. Mr D Macpherson (DA) felt that National Treasury had brought the conversation to a very pointed place. It had asked a lot of questions but had not given answers to those questions. What would be helpful would be for NT to come back once the Committee had had discussions. What would it cost the financial system, and ultimately the economy, if debt was written off because, at the end of the day, it would cost the economy something? Someone had to pay for the debt that would be written off. One could not write off debt without someone paying for it. Mr M Kalako (ANC) thought that the Committee was trying to address the present situation of poor people and the way people were victimised, finding themselves paying double with the interest that they were charged. The National Treasury questions had made it complicated, although he knew they were intended to help them. There were Acts which could be used to protect the poor consumers, but they were not even aware of the laws. In fact, they had to go to lawyers and pay more. The Committee wanted to mitigate against that. The Committee did not want the financial sector to be squeezed. He knew that it was a capitalist, and not a socialist, system and that people had to pay for what they did. However, because of the harsh financial situation globally and even more so in the country, everyone was beginning to feel the pinch of “junk status,” so the Committee did not want to further burden the fiscus. How could that be avoided? If it were decided to “write off”, who would pay? The financial sector would certainly ask that question. National Treasury needed to clarify that and come back, together with the DTI, to engage further. If they could come back and point to the existing Act and show where it could be simplified and worked on, the Committee could look at that. The example of the Commission for Conciliation, Mediation and Arbitration (CCMA) was a good one. South African society did not have a culture or tradition of saving. People who received debt relief went immediately back to debt. The Committee needed to engage further. Mr Macpherson said that he wanted to look at the extreme view of simply writing off all debt, because he believed that they should work towards a more moderate view. If the studies were true that people became re-indebted once they had received debt relief, it would be pointless trying to change that behaviour if it was just going to repeat itself. It was not going to help if they continuously wrote off debt. The solution was to stop people getting into debt in the first place. If the Committee agreed that that was the solution, then they needed to look at what the instruments were to stop them doing it. Mr Hill-Lewis had said repeatedly that the National Credit Act (NCA) largely empowered the National Credit Regulator (NCR) to stop people getting into debt in the first place. But it simply was not being done. He was confused as to why the Committee wanted to stop something from happening which could already be stopped. The Committee needed to consider it. He asked National Treasury to share their reasons for concern about the constitutionality of the debit relief. What were NT’s concerns, and what section might it violate? The Chairperson knew that NT had really applied its mind to those things when it popped in to assist in clarifying things, but the Committee had had a very interesting study given to it in April 2015 about a debt forgiveness programme. National Treasury had raised points about the stability of the system and so on, and other issues had been raised in the Committee. Also, debt relief should not look like an election ploy, which had happened in one or two countries. However, in countries such as the United Kingdom’s debt refunds, there had been numerous examples of customers who had been the subjects of reckless lending. Where there had been reckless lending, customers would get their money back. She had not heard that tone from National Treasury. Treasury was asking about when debt relief would be valid, but if the debt were a result of reckless lending, there would be no question of validity. Some sanctions around debt involved the judicial system. This was not the case when looking at debt in all countries, which might be a further complication for the case in South Africa. No debt had ever been extinguished off an ordinary person (other than a bank or lending institution) in South Africa. This would be the first time under a democratic dispensation that this would have even been considered. This was the first time that debt would ever have been extinguished in South Africa. She was tired of hearing it said on radio and television that South Africa had done it before -- it had not happened before. That must be clear to everyone. Debt relief was similar to the way that National Treasury had, in the interests of stability and the economy, looked at ways of enabling institutions to write off certain things. Of course, institutions did not write off debt, but put it under the desk and brought it out a few years later. She liked the concept of “extinguishing” debt. Parliament had dealt kindly with financial and retail institutions, and now ought to give the people of South Africa who were faced with certain challenges, a break. She agreed that there needed to be lots of criteria. There were numerous instances of successful debt relief across the world, backed by their national treasuries and federal banks, and no one had ever called them irresponsible. Parliament did not want to bring the financial system down. They were deeply concerned about that. and wanted responsible behaviour, and those who flouted the law needed to be subjected to it. There was a law that said that you could not lend recklessly, so why were reckless lenders not sitting in jail? National Treasury needed to deal with this. National Treasury believed that there should be a system in place to extinguish debt beyond what was currently enabled through the current debt counselling and existing processes. There was a need for a permanent writing off for those people who most needed it, and a way in which it changed the culture and behaviour of the sector – both the lenders and the borrowers. There was moral hazard on both sides. The moral hazard of the lenders was that they could lend recklessly and still get paid for it, while the moral hazard of the borrowers was that they could borrow recklessly and get the debt removed. It was a question of balance. Who had lent the money? If a person did not have income or assets, how was that person able to get a loan in the first place? National Treasury was definitely not trying to make threats, but it needed to know the size of the debt to make the right difference to the right people, and the right number of people. National Treasury had to find the point on the spectrum where it would make the desired impact. Was it billions? Zero would not do anything and a trillion rand would create a severe moral hazard and unquestionably disrupt the system. Where was the point between the two extremes? National Treasury needed to do more work on the loans themselves in respect of value, etc, and how much the credit providers could afford before it kicked into something disruptive. The proposals went beyond the Debt Counselling Rules System (DCRS), although there were proposals to improve it. The Credit Act and the powers already in place were questions to be answered by the Credit Regulator and the DTI. Regarding reckless lending, Treasury had found that laws might provide for something, but the question was how it was written so that it could be enforced. Did it operate on a fixed number? In drafting any law, NT started with the principle, for example, that one was not to lend recklessly, and there needed to be rules to enforce the principle without missing the spirit of the law. The law could be enforced by questioning whether the principle had been adhered to. It did lead to problems around the capacity, as regulators needed to make judgment decisions instead of rules-focused decisions, which was hard. The new approach to principle-based laws did lead to capacity issues and capability. Could blanket debt forgiveness occur under the current laws? There were existing laws which could be enforced, but had not been enforced for too long -- for example, the debt collection laws, which had gaps. There had been protection, but not enough. Those laws were being reviewed. There were too many separate laws, and it was hard to get multiple laws to line up, so government was working towards a twin peaks system to follow the entire process in a single thread from, for example, the beginning of the access to money and where it was coming from, to debt collectors at the end of the process. Laws were there, but there were gaps, especially where there were different agencies involved. It was important for government as a whole to be concerned with indebtedness. Could laws be better enforced? The specific regulators and departments would have to address that question. Regarding the cost to the economy and the sector, it was necessary to get maximum impact for the poor to get rid of debt in a way in which credit providers definitely felt the impact, but were not crippled. The constitutionality issue had come about in internal discussions in National Treasury between the legal team and the administrative processes team, so it was not a legal perspective. However, the view was that according to the Constitution, one could not expropriate without compensation, and the income stream of what was owed was an effective asset. The issue was not about wrong Emoluments Attachment Orders (EAOs), but about the process of identifying one as invalid. If EAOs had been implemented by court, who would go back to court to rescind it? There were many process and implementation questions around the EAO’s in order to do things in the right way. 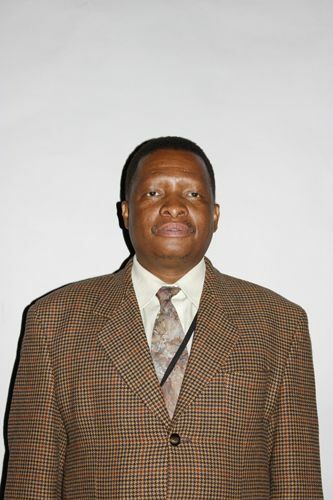 The Chairperson proposed another, and longer, engagement on the following Wednesday, 31 May 2017, when they had a sub-committee meeting on debt relief, and National Treasury could come and present to the full Committee before the sub-Committee meeting, depending on the programme of Parliamentary plenaries. Mr Macpherson said that he would like to see some raw numbers and raw data, and a concrete legal opinion from someone. He wanted to know about engagements that had been held with banks. He wanted more evidence. The Chairperson said that they had just started working with the National Treasury, so they needed to fine tune a few pointers, but she would consult with the chairperson of the sub-committee. She asked Members to study the matter again as there were very interesting points – for example, the UK’s extinguishing of debt, not withstanding the financial situation. Mr Hill-Lewis said that progress had to be made in a sustainable and financially responsible way. He wanted to hear from the Department of Justice and Constitutional Development (DOJCD), because EAOs were such a sensitive issue in debt forgiveness. The Desai judgement in Stellenbosch had been a very powerful case, and ways were needed to expand that judgment across the board. About a year ago, National Treasury had engaged in an audit of all EAOs on all public servants on the Persal system. The removal of EAOs had been a huge process of debt relief and he wanted to know if it had been finished and what the result had been. The Chairperson agreed that the DOJCD had to be involved, and perhaps National Treasury could be there at the same time. The secretary would write to the Department regarding Mr Hill-Lewis’s example. The Chairperson noted that the Companies and Intellectual Properties Commission (CIPC) was launching a major office in Cape Town. The CIPC was a very important regulator and it would be constructive if the Committee took up the invitation as part of its proceedings on Wednesday. Regarding the forthcoming study visit, the Committee had agreed to pursue debt on the visit. At the same time, to add value, she wanted to look at something in relation to other legislation. She believed that as the “Fourth Industrial Revolution” had arrived and Germany had made great progress in this regard, they could visit Germany, especially as it was relatively close to Croatia where they would study debt relief. She had asked for seven people to go, as there would be two issues. The political parties would make their decisions as to who would go, but she assumed that it would be Mr Hill-Lewis for the DA because he was in the debt sub-committee. The ANC would determine who would go from their side.